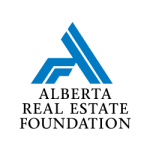 When a condo corporation receives money paid to or for its benefit, that money and all proceeds from that money are legally and beneficially owned by the corporation. The money is held in trust for performance of the duties and obligations in which the payment is made. Unless a board resolution says otherwise, the corporation must deposit the money into a separate trust account at a bank, trust corporation, credit union or treasury branch within 3 days (exclusive of holidays and Saturdays) of receiving it. The corporation must keep all trust money intact and not withdraw, convert, direct, borrow or comingle the money unless a board resolution says otherwise. Subject to any special resolution and the regulations, a corporation can invest any funds not immediately required by it according to the regulations. Schedule 2 of the Condominium Property Regulation contains further information such as authorized investments and restrictions. Consult with your lawyer and financial advisor if you are considering this.